SIX decades after she and her siblings were abandoned by their parents, the emotion is still visible on Durelle Dean's face when she tells the story. But the more she talks, the easier it is to understand why her feelings are still so raw. 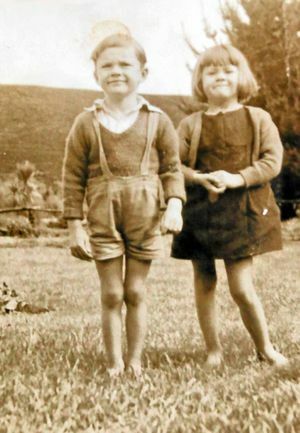 One afternoon in 1951, the then six-year-old Ms Dean and her three siblings got off the school bus and walked in the front door of their dairy farm in Te Awamutu on New Zealand's north island to find the place empty. "We just came home one day from school and the house was quiet," Ms Dean recalled. "My sister started crying and I could hear her so I went in to see what's wrong. "She said, 'Mum's gone away and she's not ever coming back'." Ms Dean's 12-year-old sister had found a letter from their mother on her bed, saying she had left for good. Later, their father came home and found the four children sobbing together. "When our Dad came home he got really brushed off with us crying," Ms Dean says. "He said 'stuff it', and so he went, too." And so it was that four children aged between six and 12 were left entirely to fend for themselves. "They were very unhappy," she said of her parents. "They made us the prisoners of their war, because they were really angry." Durelle Dean pictured with her her twin Jeffrey. They kept their parents' departure a secret, but it wasn't easy. Simple things were complicated. "I got the chicken pox, and I had to stay home ... when I returned to school, the teacher said, 'You need to bring a note from your mum'. "I didn't know what to do. I didn't have a mum. "So I didn't say anything, I went back to school the next day without a note and then she demoted me to the class below, and I just sobbed and sobbed." Last year, Ms Dean decided to publish the story of her traumatic childhood in a book she called Ravaged Innocence. She wrote the story more than a decade ago but her son Michael finally convinced her to have it printed in the hope it would inspire other victims of abuse. After the book was published, Ms Dean went to visit her sisters. "She said, 'Yes, I didn't think anyone knew how I felt'." But her childhood pain was not her only tragedy. In later years, Ms Dean married and had four sons - Stephen, Allan, Michael and Christopher. But her marriage broke down after 16 years and she divorced. The tremendous difficulties of her life led Ms Dean to explore many forms of spirituality, beginning with Christianity. "I was in a Methodist church and when I got divorced they said 'You'll have to resign your leadership position'. "So I said, 'Okay, I'm off to be a Buddhist or something'." She spent two months living in an ashram in India, deciding "it's good enough for The Beatles, it's good enough for me". 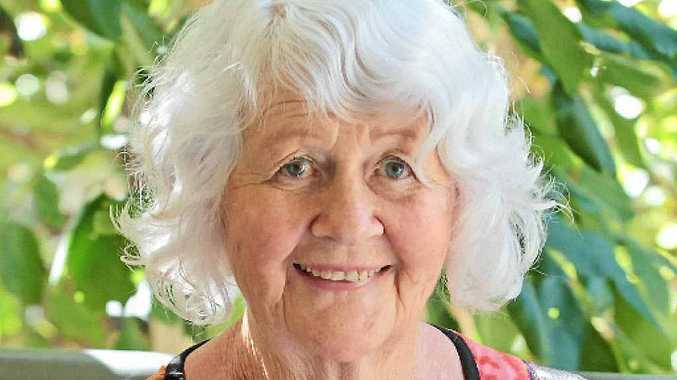 When she moved to the Sunshine Coast in 2003, Ms Dean rediscovered her Christian faith through a coffee group run out of a church. Ms Dean then began travelling again and worked in missions. She felt "compelled by God" to set up her own mission - Footprints in Africa - in Zambia. She taught the people how to speak English and skills such as sewing. Today, Ms Dean lives in Caloundra and is studying to become a chaplain. She describes her amazing journey through life as a "pilgrimage". "Big mountains and big valleys."